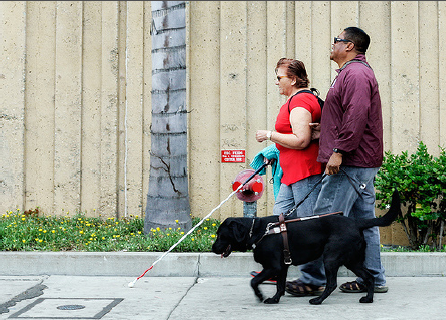 The accessible route for people with disabilities must be located so it coincides with the route that everyone else will be taking. In other words, if a route is through the front door, and the front door is not accessible, we are not allowed to make someone in a wheelchair go to the back door to enter the building. 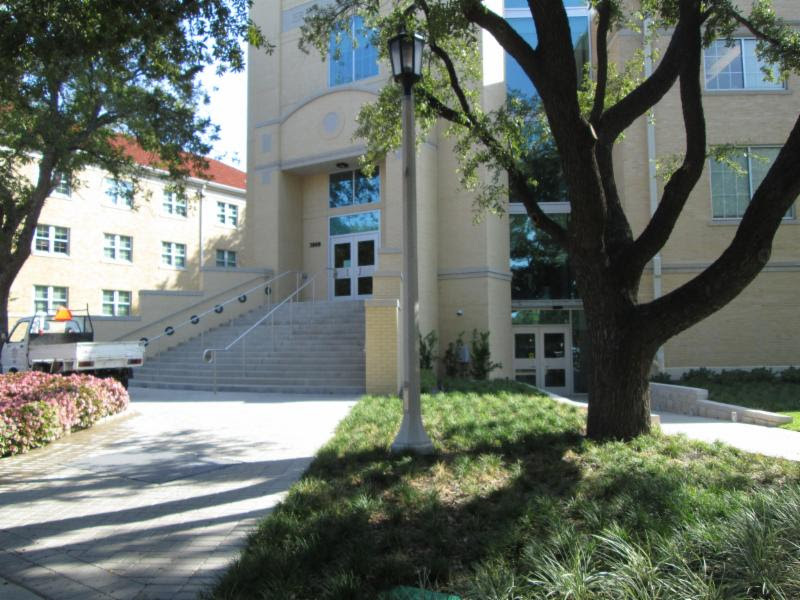 This photo shows two entrances: one up some stair (not accessible) and one on the ground (accessible) and both are located in the same location. This is a good solution to the location of the accessible route coinciding with the general route. 206.2.3.1 Stairs and Escalators in Existing Buildings. 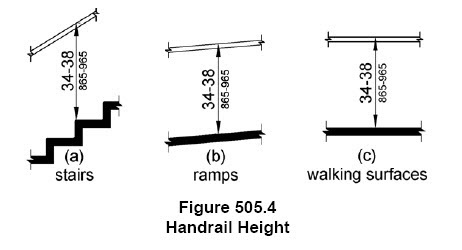 In alterations and additions, where an escalator or stair is provided where none existed previously and major structural modifications are necessary for the installation, an accessible route shall be provided between the levels served by the escalator or stair unless exempted by 206.2.3 Exceptions 1 through 7. This means that if you have two levels that were not connected together at the time of new construction, but they will be connecting by adding a stair as part of an alteration, then an accessible route connecting the two floors (and located in the same area) will have to be provided. So If there is an office building with a tenant that would like to lease two floors and connect them with an internal stair, they would be required to also provide an elevator or a ramp connecting the stories. If the building already had an elevator in the core, this would not be able to be used since the elevator is outside the tenant space. The new elevator would have to be located within the tenant space. The Texas Department of Licensing and regulation issued a technical memo that explains their position on this issue. What if we can’t make a building comply? 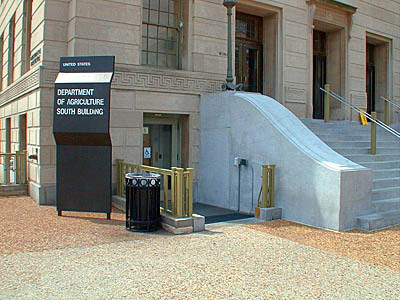 The 2010 ADA Standards states that only stairs that are part of a means of egress must comply with the ADA sections 504 and 505. 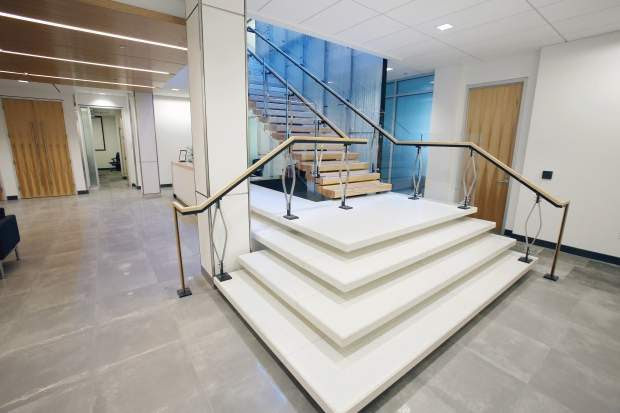 That means that grand stairs that are typically found in a lobby of an office building, for example, will not have to comply because typically are not part of a means of egress according to the building code. 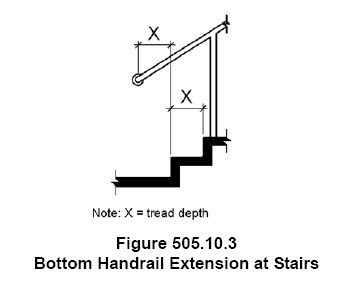 This stair is not part of a means of egress and therefore the requirements for nosings, closed risers, handrail shape and extensions do not apply. What happens when a stair that is part of a means of egress is getting modified or altered? 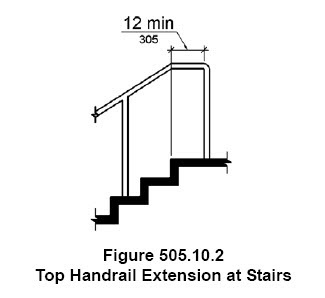 According to ADA Section 210 Exception #2, in alterations, existing stairs between levels that are already connected by an accessible route (like an elevator or ramp) is not required to comply with 504, except for the handrails. 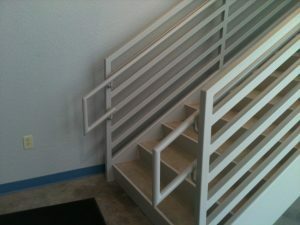 The handrails will have to be brought up to compliance with ADA section 505. What if you add a new adjoining stair between floors? 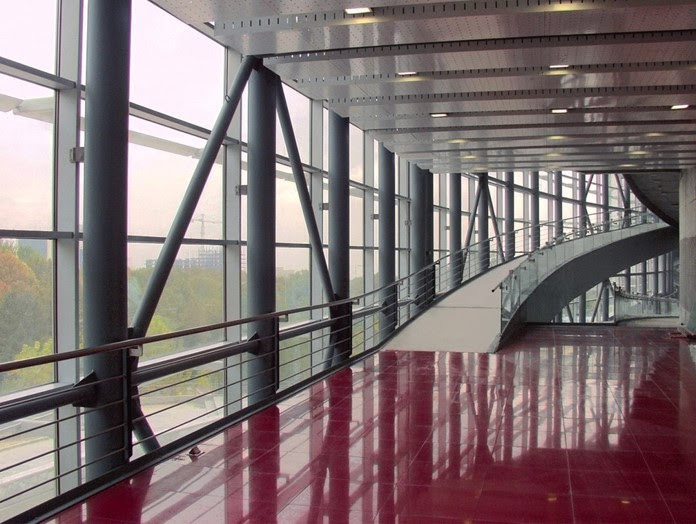 A typical scenario that has been occurring in office buildings is that a tenant will take two floors and create a connection within their suite with an adjoining stair. 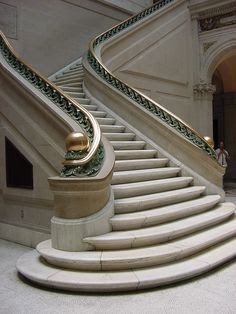 If the stair did not exist in the space before, and even if the building core has an elevator, an accessible route will be required in the same area. That means that an elevator or wheelchair lift would also would have to be installed in the suite. It would not be acceptable to make a person in a wheelchair exit the space and find the elevator in the core and then re-enter the space on the upper floor.